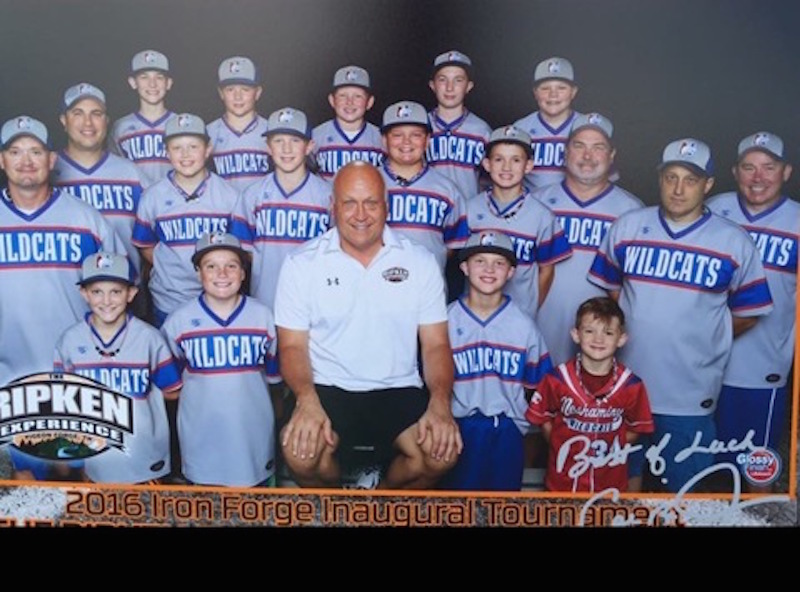 If you've ever doubted the profound impact that being part of a team can have on its players, all you would need for reassurance is the story of the 12U Wildcats from Neshaminy Little League in Langhorne, PA. This team has stood by each other for over 4 years, through good times and bad, through wins and losses. Some say that the 12U Wildcats are just a baseball team, but to them, being able to play together means so much more. The 12U Wildcats channeled that passion and raised over $22,000 with their FlipGive fundraising campaign. Money raised will not only help them play in this years Ripken Myrtle Beach baseball tournament but will also help a cause that really hit home this past season. "These boys are friends on and off the field, They work hard all year long to be the best players they can be. 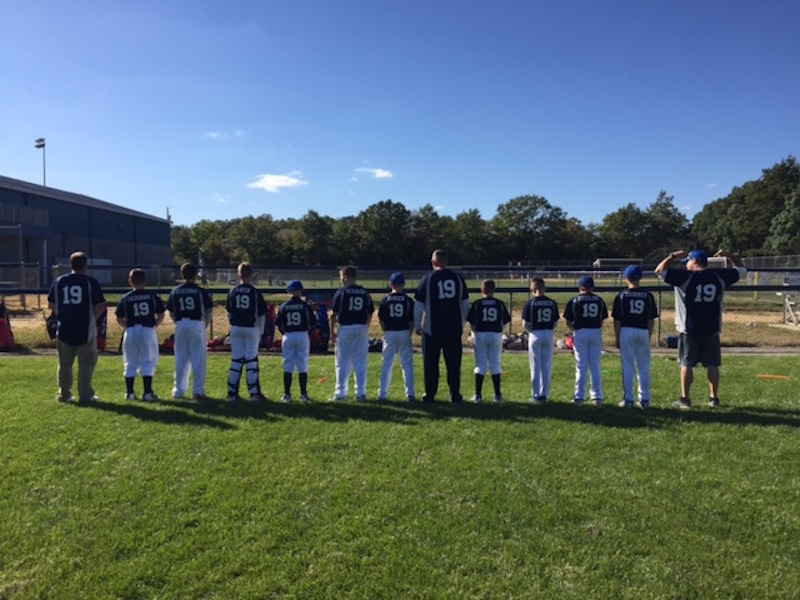 This team of 13 boys represents the name on the front of their jersey rather than the name on the back. So you can imagine how devastated we were when we found out one of our boys, Ben Pervis #19, was diagnosed with this disease." It was a major blow to the team, but despite the bad news, the Wildcats, their families, and their entire community came together to support Ben. "Ben is the kindest, quietest, and smallest kid on our team. The perfect team player as well as an amazing athlete", said Coach Amrhein. "There was a list a mile long of parents and friends unselfishly willing to donate much-needed platelets to Ben. I kid around with Ben all the time saying we are platelet brothers. We handed out Team Ben #19 bracelets and Team Ben shirts to raise community support, the team even shaved #19 into their heads for Benny. Before the fall season, the team even special ordered #19 jerseys in a show of support for Benny. "It really brought the team closer, it didn't matter anymore which number a player wore, what mattered was the team. His parents kept us informed on his progress, and we all hoped that he would make it back in time to play next season." When the team visited Ben in the hospital, he had the word “FEAR” (Face Everything and Rise) on his window. That's just the kind of kid he is. "Whenever we saw Benny, he always had a smile on his face. His smile always lit up our hearts. For him being the smallest kid on our team we quickly learned that he truly is the strongest and bravest kid on our team." "We had a successful fall season winning a tournament and a second-place finish, said Amrhein, and we did it all for Ben." We made a trip to the hospital to make sure Ben had his tournament trophy and the game-winning ball so all the doctors knew he was part of our team. 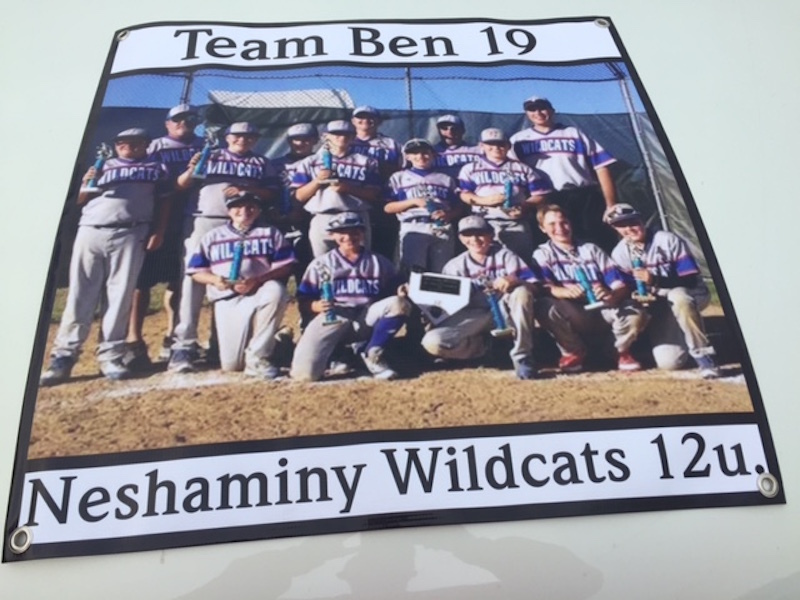 We made a Team Ben #19 banner for him to hang in his hospital room. It's something that really touched our hearts, something that showed us what sticking by each other meant." This past holiday season, with the help of Nike through FlipGive, we were able to get a custom pair of sneakers made for Ben. "It was such a special evening seeing Benny smile and light up the dark sky. Nike exceeded our expectations and beat the estimated delivery date. Seeing Ben open these custom sneakers that night will be a memory I will never forget", says Coach Amhrein. "He gave me a gift that's hanging up in my office. 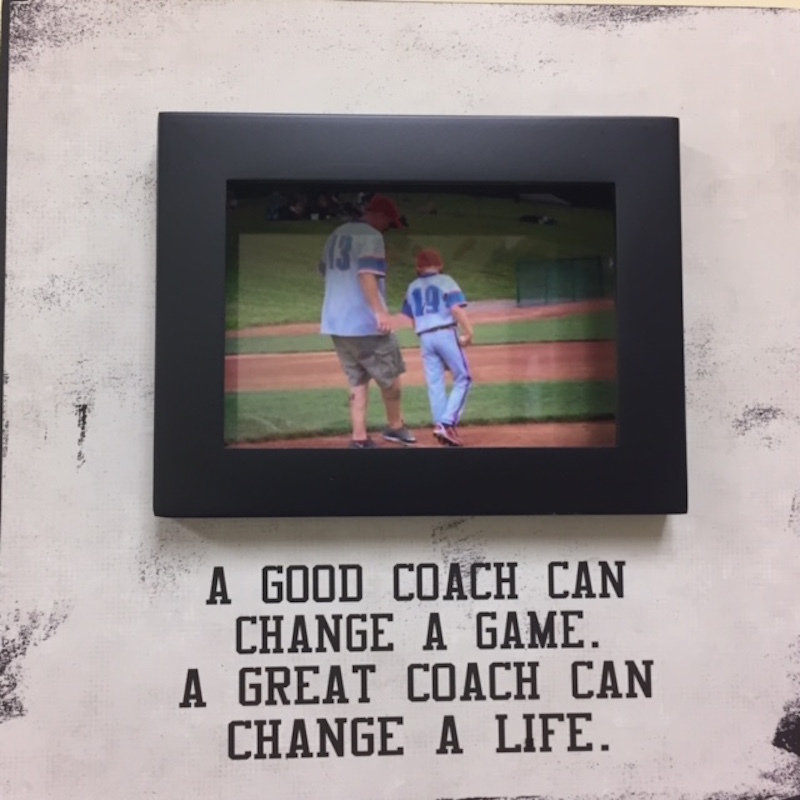 It is a picture of Ben and I on the pitcher’s mound and it has the saying “A good coach can change a game. A great coach can change a life.” I will cherish this gift forever. FlipGive was a perfect fundraising partner for our team to meet our goal of creating more memories. We are so excited and honored to be the 2016 Holiday Shop grand prize winners." Thankfully, the team's prayers were answered and Bens brother was a bone marrow match. Ben has had some bumps in the road, but he is on his way to recovery, passing his 100-day milestone and counting the days until 120. The team can't wait to have him back on the field. The 12U Outlaws will be donating a portion of their winnings to a foundation of Ben's choice to help cure Aplastic Anemia. 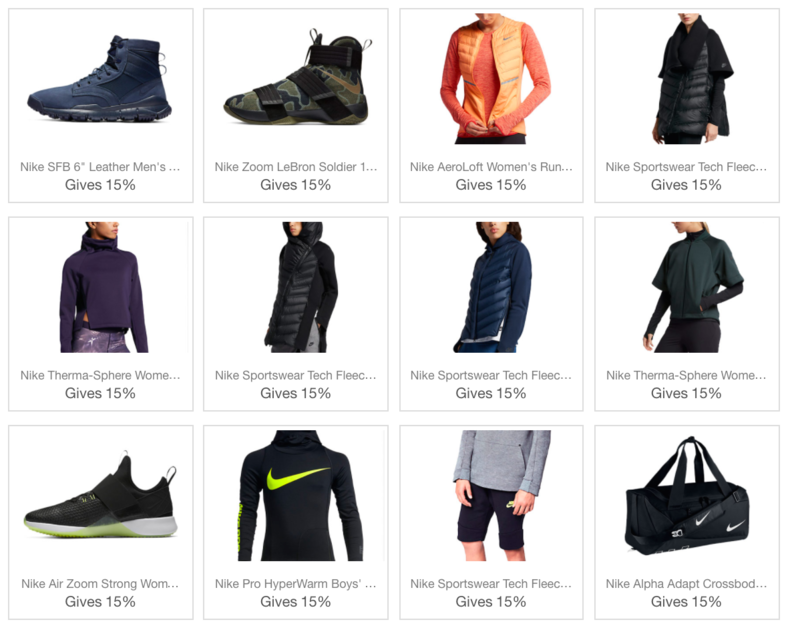 If you would like to help out this amazing team, click here or check out some of the awesome products below that help this team!